It has to identify if it's a red ball or blue ball with the light sensor. If it's a red ball the robot should hit the ball and if it's a blue ball it shouldn't hit the ball. Looking at your code, there are a few things that you need to consider. Firstly, you have a while (true) loop which will run infinitely. The first thing you have after the loop is OnFwd(...) which will turn motors A and B on. Together, this means that whatever you do next, when then you will run the code again, turning on motors A and B. The next thing to be aware of is that Wait(2000) is milliseconds. 2000 milliseconds is 2 seconds, so you will only turn motors A and B off - stopping the robot - for either half a second, or 2 seconds before the loop starts again, and the robot starts moving again. In the case where both if statements are true (presumably when it detects a red ball - but I haven't double checked either the Sensor or SensorUS commands), the robot will stop, the motor C will start, then 2 seconds later the robot will start again. Not the answer you're looking for? 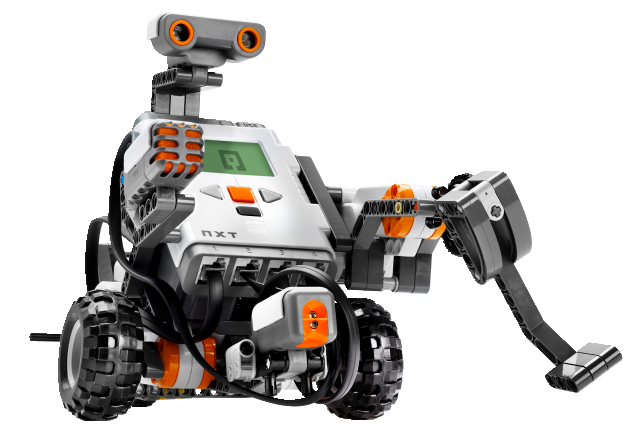 Browse other questions tagged mindstorms nxt programming nxc or ask your own question. How do I get started with Mindstorms NXT 2.0? How make robot turning going straight? How can EV3 Gyro sensor drift be handled?